That’s the sentiment that Chevy’s website touts regarding their 2016 Equinox. While it may sound like hyperbole, it’s actually pretty accurate. The compact SUV offers a number of capabilities and amenities to make any driver or passenger satisfied. The engines provide sufficient power without compromising efficiency, so you can appreciate your muscular vehicle without having to make constant pit stops at the gas station. The variety of safety features complement these engines perfectly, assuring that the driver will always be in control. Of course, the interior also offers plenty of technology and cargo room, resulting in maximum entertainment and convenience. Sure, it may sound a bit shortsighted to declare that you can do anything in your new ride. However, it’s more than possible in the 2016 Chevy Equinox. Drivers may not expect sports-car-level power from their compact SUVs, but they still anticipate some muscle. 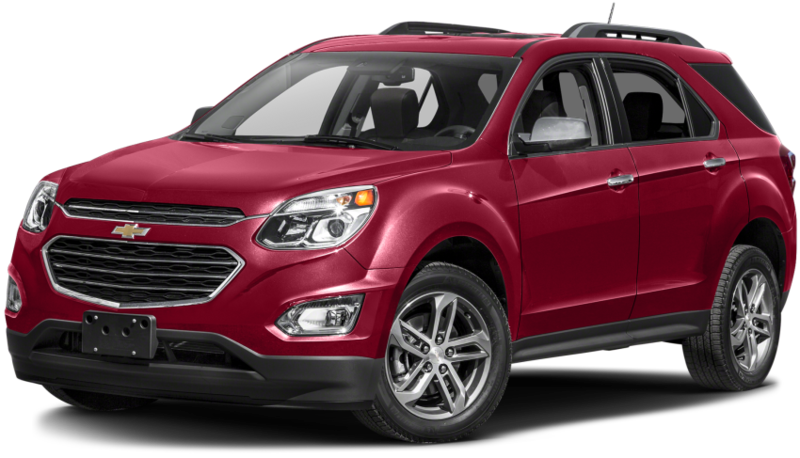 Customers certainly won’t be unhappy with either of the 2016 Chevy Equinox’s two available engine options, as the pair of units will satisfy drivers with a mix of power and efficiency. The 2.4-liter option is the smaller of the bunch, and it predictably uses several fuel-saving technologies to deliver an incredible fuel efficiency. Meanwhile, the hulking 3.6-liter V6 engine is the option for those seeking excellent horsepower and torque, although the unit is surprisingly fuel efficient. Have you envisioned yourself zooming past your fellow drivers as you’re traveling on the highway? Well, that’s certainly possible in the newest version of the Chevy Equinox. 2.4-liter DOHC four-cylinder SIDI engine is the logical option for those looking to save some money at the pump. Thanks to the Variable Valve Timing technology and the included Eco Mode, drivers can expect a car-like highway fuel economy of 32 miles per gallon. Luckily, the fuel efficiency doesn’t compromise any of the unit’s solid power specs. Drivers can still expect the 2.4-liter engine to pump out 182 horsepower and 172 pounds-feet of torque. When coupled with the six-speed automatic transmission, drivers are really going to be convinced that they’re operating a much smaller ride. Looking for even more power? You won’t have to look much further than the incredible 3.6-liter V6 SIDI engine. While the 2.4-liter engine may remind some of driving in a sedan, this unit will remind drivers of operating a powerful muscle car. The unit pumps out a best-in-class 301 horsepower and 272 pounds-feet of torque, numbers that are rarely seen from SUVs. These numbers play a significant role in the 3,500-pound towing capacity and the equally-impressive 0-to-60 time of 6.7 seconds. Despite these astonishing specs, drivers can still expect around a 17 city/24 highway mile per gallon fuel efficiency. If you’re going to be driving around in such a powerful vehicle, you may find yourself worried that you’re going to lose control. You won’t have to have any of those worries as you’re traveling in the 2016 Chevy Equinox, as the compact SUV includes a number of preventative and protective safety features, keeping all of the vehicle’s occupants safe and secure. The variety of features is a big reason why the vehicle (when equipped with a Forward Collision Alert system) was named a 2016 Top Safety Pick by the Insurance Institute for Highway Safety. The vehicle also earned a near-perfect four-star safety rating from the National Highway Traffic Safety Administration, further confirming the incredible reliability. You want to keep your passengers safe and your compact SUV looking nice, right? Those goals are both very achievable in the 2016 Chevy Equinox. Your 2016 Equinox should continue to look good as new thanks to the SUV’s assortment of preventative safety features. These technologies will serve as an extra set of eyes, keeping you and your new SUV out of harm’s way. Technologies like Rear Cross Traffic Alert and Lane Departure Warning will alert drivers of any approaching vehicles, thus preventing a potential fender bender. Meanwhile, the Forward Collision Alert will notify the driver if they’re about to smash into another vehicle, and the Rear Park Assist uses sensors and warnings to guide a driver into a driving spot. The Equinox even comes with a standard rear vision camera. Accessible via the Chevy MyLink system, drivers can monitor everything that’s happening behind their SUV. That means you won’t have to worry about running over a curb, accidently bumping another vehicle, or crashing into the garbage can. If you do happen to find yourself in an accident, the Equinox should do everything in its power to keep the occupants secure. It starts with the six standard air bags, which provide plenty of cushion during a collision. If emergency personnel is needed, drivers can access the OnStar Automatic Crash Response System, which will automatically send help to the site of the crash. You also won’t have to worry about your Equinox failing due to a lack of upkeep. All 2016 Chevy vehicles are accompanied by a pair of maintenance visits, as well as a five-year/60,000-mile 24-hour Roadside Assistance (with Courtesy Transportation). This way, you really don’t have any excuse for your Equinox not working. Besides the previously-mentioned attributes, drivers are going to be relying on their 2016 Chevy Equinox for one thing: cargo room. Fortunately, the compact SUV delivers, as drivers can expect plenty of space to store all of the cargo and equipment. However, the interior also features something drivers may not have expected: an abundance of technology. Led by brand’s MyLink infotainment system and the inclusion of 4G LTE Wi-Fi, passengers will always have entertainment right at their fingertips. The Equinox provides drivers with plenty of room to fit all of their cargo and equipment. The Multi-Flex sliding rear seat allows for maximum flexibility, as the chair can be pushed back for an extra eight inches of leg room (alternatively, the unit can be pushed up for additional cargo space). If drivers so desire, they can even fold the seat, allowing them to take full advantage of the 63.7-cubic-feet of space. If you have oddly-shaped or cumbersome cargo (like snowboards or skis), you’ll find that it’s an absolute breeze fitting them into your new Equinox. Thanks to the inclusion of 60/40 split-folding seats, drivers can manipulate their interior to fit their equipment and their passengers. Similar to most Chevy vehicles, the Equinox’s interior offers several technological amenities, highlighted by brand’s MyLink infotainment system. Accessible via a seven-inch color touch-screen, drivers can pull up satellite radio, navigation services, or even websites like Yelp. Plus, the unit is compatible with your iPhone, so drivers can utilize many of their phone’s basic capabilities without taking their eyes off the road. The technology doesn’t end there. The available 4G LTE Wi-Fi will keep all of the passengers connected, assuring that no one is ever off the grid. Finally, the OnStar RemoteLink mobile app will allow owners to access their SUV remotely. Drivers can lock/unlock the doors, hook the horns, flash the lights, and even operate the engine from the comfort of their own house. Now that you’ve learned that the 2016 Chevy Equinox truly is as versatile as the company touts, you’re going to want to make the purchase. However, what’s the right spot to buy that new compact SUV? Well, if you live in the Albany, New York area, you won’t have to look any further than DePaula Chevrolet. The dealership offers a wide variety of new and used vehicles, so you certainly won’t be limited to just the Equinox. Furthermore, the helpful sales team won’t be pushing gimmick sales. Instead, they’ll work with the customer to find the proper fit, and the finance department will assure that you can make all your payments in a timely fashion. To put it over the top, the service department can repair any issue you may come across. You know how Chevy touts that their Equinox can practically provide anything a driver could possibly want? Well, this sentiment could also be applied to DePaula Chevrolet.